The Department of Labour provided a quick summary of deliberations considering the changes recommended to the Labour Laws Amendment Bill. The submissions embodied the Congress of South African Trade Unions (Cosatu’s) proposal and memorandum of the demands. This was in line with the total banning of labour broking and the total banning of outsourcing. Other issues of state capture, economic crisis and renewable energy and closure of coal mines were deemed as not part of the mandate of the Portfolio Committee on Labour. The Commission of Gender Equity also submitted proposals which required changes. These were in line with Clauses 1, 2, 3, 7, 9, 10, 11, 12 and 13. There was also a briefing by the Department of Labour (DoL) on the overall performance and plans of the Essential Services Committee (ESC) of the Commission for Conciliation, Mediation and Arbitration (CCMA). The focus was mainly on the ESC legislative mandate, ESC’s strategic plan of 2017/18, ESC operations, quarter 1 and 2 reports as well as the challenges being encountered and bedeviling ESC in its endeavors to achieve the set targets. There were also deliberations on the Cosatu Memorandum referred to the Committee. Three political parties who were present clashed on the view of whether to proceed or to refer it back to National Economic Development and Labour Council (NEDLAC) for further investigations. The DA was of the view of proceeding whilst ANC and COPE wanted NEDLAC to investigate again and revert to the Committee. Members agreed that the issue be sent back to NEDLAC to give further information on recommendations. The discussions on the Labour Laws Amendment Bill focused on typographical errors and Members concurred that it was not necessary to dwell on language changes or to debate about it and recommended the Committee do what Cosatu came up with in leading the Committee to proceed with the Bill. The discussion on the briefing by the Department of Labour on all the overall performance and plans of the Essential Services Committee of the CCMA focused on nexus between the Essential Services Committee and the Department of Public Service and Administration (DPSA). The discussion also questioned the unwarranted strikes in different sectors. In response, the Committee noted that not all the services in the public service were essential therefore there was need to engage the Essential Services Committee. In response to the strikes, it was noted that Parliament, as a designated service, was an essential service in the Labour Act and the Essential Services Committee intervened. The Committee circumvented other questions citing that the Essential Services Committee was part-time therefore the Committee had to understand some of the shortfalls in the responses. There were also deliberations on the memorandum by Cosatu focusing on the use of consultancy as well as on the issue of labour broking. The issue of state capture was taken as not part the mandate of the Portfolio Committee on Labour. Party positions were represented by one Member from the three political parties present, that was, ANC, DA and COPE. It was proposed that the matter be formally referred to NEDLAC through the Department of Labour and the Department had to come back in a month to discuss the matter. ANC and COPE bought this idea whilst the DA was against the stance/move to refer the issue to NEDLAC. Due to numbers in terms of representation, the Committee concluded that the matter be referred to NEDLAC. The Chairperson welcomed Mr M Schmitt from the German Consulate as representative from the German embassy. Ms Marsha Bronkhorst, Chief Operating Officer, Department of Labour, presented submissions that were received considering the Labour Laws Amendment Bill 2017. Amongst the submissions made was that Cosatu supported the Bill and a submission which was compiled by Mr Mathew Parks, Parliamentary Coordinator, Cosatu. The report stated that Cosatu welcomed the proposed typographical amendments to the private member’s Bill, the Labour Laws Amendment Bill to correct the mistake in the Unemployment Insurance Amendment Act adopted by Parliament in 2016. The typographical error was brought to attention in line with the definition of “employment law” in chapter one of Basic Conditions of Employment Act 75 of 1997. The Act defines “employment law” as “employment law” included this Act, any other Act of the administration of which has been assigned to the Minister, and any of the following: - (a) The Unemployment Insurance Act, 1996 (Act 30 of 1966). The error is on subsection (a). The Unemployment Insurance Act, 1966 (Act 30 0f 1966) was replaced by The Unemployment Insurance Act 63 of 2001. This correction was needed to give effect to sections 64 and 65 of The Basic Conditions of Employment Act. Ms Bronkhorst said that Cosatu, as indicated in the Department of Labour 2016 submission to Parliament, strongly supported the Labour Laws Amendment Bill. Cosatu strongly urged the Portfolio Committee to pass the Labour Law Amendment Bill as a matter of the highest urgency as the Unemployment Insurance Amendment Act was processed since 2013 and due to many technical delays was still not implemented. This came whilst thousands of workers were losing their jobs and would have greatly benefited from the expansion of access to the Unemployment Insurance Fund as provided for in the Unemployment Insurance Amendment. This would in turn have seen billions of Rands pumped into the economy at a time when the country was barely out of the recession. In conclusion, Cosatu and its 1.8 million members was pleading with the Portfolio Committee to pass this Bill before the end of this parliamentary session at the end of November, so that it could come into effect by April 2018. Ms Bronkhorst said that there was also another submission by the Commission for Gender Equality (CGE). The Commission for Gender Equality was a chapter 9 institution which was obliged to evaluate any prospective legislation and to report thereon to any appropriate legislature. Accordingly, the Commission evaluated the Bill [B24-2016] and posed a raft of comments to specific clauses. In 2.1 Clause 1 (a), the CGE supported the insertion of the definition “adoptive parent” but recommended the insertion as follows: - “Adoptive parent means” – any person who has adopted a child in terms of any law. The insertion of the word “any” brings the definition in line with the Constitution. (c) The CGE also recommended the deletion of the word [a] and an insertion to read as follows: - “Prospective adoptive parent” means any person who complies with the requirements set out in section 231 (2) of the Children’s Act. On 2.2 Clause 2, the CGE did not support the insertion in its current form and recommended the following deletion and an insertion that reads as follows: - 6A An employer must not set off maternity leave against any other leave entitlement under this Chapter. In line with 2.3 Clause 3, the insertion of sub clause 2(b) was supported. In line with 2.4 Clause 3, the CGE recommended a deletion of the word ‘may’ and insertion of the word “must” to read as follows at Clause 25B(8), (8) An employer must not set off adoption leave against any other leave entitlement under this Chapter. In line with 2.5 Clause 3, the CGE recommended a deletion of the word ‘may’ and insertion of the word “must” to read as follows at Clause 25C(8), (8) An employer must not set off adoption leave against any other leave entitlement under this Chapter. In 2.6 Clause 7, the CGE recommended the insertion of the word ‘any’ at Clause 7 (b) to read as follows: - “Prospective adoptive parents” means any person who complies with the requirements set out in Section 231(2). In 2.7 Clause 9, the CGE supported the proposed amendment of Section 13 of the Unemployment Insurance Act as set out in this clause. In 2.8 Clause 10, the CGE recommended a revision to Clause 26A (5) to read as follows: - (5) A contributor is not entitled to benefits unless he or she has worked for at least 13 weeks before the date of application for parental benefits where he or she is in permanent employment. Or at least where he or she is in temporary employment. Under 2.9 Clause 10, the CGE supported the proposed changes contained in insertion 26B. In line with 2.10 Clause 11, the CGE recommended a revision to Clause 11(6) to read as follows: - (6) A contributor is not entitled to benefits unless he or she has worked for at least 13 weeks before the date of application for parental benefits where he or she is in permanent employment or at least 30 days where he or she is in temporary employment. In terms of 2.11 Clause 12, the CGE supported the Clause in its current form. In 2.12 Clause 13, insertion of Clause 29A (1), the Clause referred to commissioning parental benefits and was supported in its current form. In line with 29A (4), the proposed leave of ten weeks for a commissioning parent was supported. Clause 29A (5) was not supported in its current form and the following revision was proposed; a new insertion to read as follows: - (5) A contributor is not entitled to benefits unless he or she has worked for at least 13 weeks before the date of application for parental benefits where he or she is in permanent employment or at least 30 days where he or she is in temporary employment. In line with 29B (5), the CGE did not support the Clause in its current form and proposed the following revision; an insertion of the words which reads as follows: - (5) If the application does not comply with the provisions of this Chapter, the claims officer must advise the applicant in writing that the application is defective inclusive of the reasons why it is defective and request that the application provide a revised application where necessary. Ms S Van Schalkwyk (ANC) said that there were typographical errors and submissions were new and she recommended not to take new proposals into consideration at this stage. Mr M Bagraim (DA) agreed with Ms Van Schalkwyk. He however said language changes were not necessary to debate about and recommended the Committee to do what Cosatu came up with. The Chairperson sought a unanimous decision to proceed with the Bill saying that it was on the table for too long. Ms Bronkhorst said that the Director General (DG) was still engaged in Geneva with International Labour Organisation (ILO) commitments. She also posed an apology for the Chairperson of the Essential Services Committee (ESC) who was not present. to manage the case load. She explained that in line with ESC operations, in 2016 a Memorandum of Understanding with CCMA was signed. The MoU provided for a structured relationship between the two institutions and how the CCMA was to deliver its legislated responsibilities on the ESC. These include providing adequate resources to the ESC for the it to perform its functions, housing the ESC’s main operations with the CCMA National office, overseeing the ESC compliance with the Public Management Finance Act (PMFA) regulations and providing administrative and professional support to the Committee. ESC worked closely with the following departments: - legal services; finance; supply chain; strategy; human resources and information management. She said that in line with its 2017 projects, there was monitoring and evaluation function considering MSA’s, MSD’s and ESC designations; a communication plan regarding stakeholder engagements and ESC conference and awareness campaigns. There were also public service interventions in light of MSA’s and MDS’s for, among other departments, hospitals and social centers; municipalities interventions in line with MSA’s and MDA’s for municipalities; review of current determinations; research programme and old aged homes. The ESC undertook a monitoring and evaluation exercise in the quarter under review. The CCMA Research Unit assisted with the development of a questionnaire in this regard. In case of industrial action, the ESC conducted a monitoring exercise following industrial action at the social centers and during the national strike called by Cosatu. In an effort to affect the amendments to the Labour Relations Act and to foster compliance with ESC designations, the ESC set itself a target that parties concluded MSA’s. 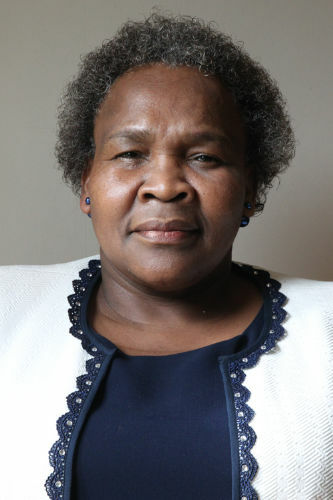 She said that in line with strategic targets and in a bid to enhance stakeholder relations, the ESC engaged the following stakeholders during the quarter under review; Quarter 1: - among others – Department of Social Development, South African Local Government Association (SALGA), South African Municipal Workers Union (SAMWU) and the National Transport Movement. In Quarter 2, the Department of Health, Independent Municipal and Allied Trade Union (IMATU), South African Medical Association and Health and Other Services Personnel Trade Union of South Africa were engaged. In terms of the communication plan and awareness engagements, the ESC was in its effort to create awareness of the essential services regime and delivered presentations in Johannesburg, Port Elizabeth, Head Office and Witbank. In its strategic plan for 2017/18, the ESC took a decision to establish relations and partnerships with the regional offices of the CCMA in Cape Town, East London, Johannesburg and Durban during the first quarter and Port Elizabeth, Kimberly, Tshwane and George during the second quarter. This vision was also in line with that of the CCMA Director of ensuring efficiency in the work of the ESC. The ESC decided that as part of its strategic planning, they present one case dealing with essential services at the CCMA Case Law Monitor. The ESC obtained a legal opinion on the status of institutions rendering essential services. The opinion provided that although the services rendered by these institutions were not designated as essential by the ESC, but that ESC had an obligation to perform its duties on them, including ensuring that they had MSA’s. She said that in the second quarter, the ESC had a stakeholder engagement with the Independent Electoral Commission (IEC). The ESC facilitated the negotiation of the MSA within the IEC and the parties had now produced a Framework Agreement and were busy negotiating the numbers. There was 100% achievement in the ESC operational plan for deliverable due in the current reporting quarter. In quarter 2, 98% was achieved for deliverables due, with only one target having not been achieved due external factors. Challenges included limited literature of essential services in South Africa. This caused made the ESC to rely on jurisprudence from other countries. Services designated by other legislations continued to pose a challenge as the test for their designations did not conform to the ESC test for being designated as an essential service. There was therefore a need to foster a more structured relationship between these institutions so that the outcomes of the research of the ESC could find expression. It was worth noting that the ESC was performing within acceptable budget variances and a bulk of projects budgeted for were still due for delivery in the third and fourth quarter, taking into account the approved amount of R8 221 125.24, and amount spent of R3 370 804.35 with a balance of R4 850 320.89. Overall, the ESC achieved on its objectives outlined in the strategic planning for quarter 1 and 2. The only under-achievement was related to the conclusion of MSA’s in the public service due to delays in negotiating minimum services. In an effort to achieve the target, the ESC targeted hospitals in the Eastern Cape, Western Cape and KwaZulu-Natal for the first quarter. Nevertheless, cooperation was only received from the Eastern Cape and merely in the latter part of quarter 2 was cooperation received in the Western Cape. The ESC now approached the Director-General of the Department of Health to assist with ensuring cooperation from the provinces. Engagements were also made with the Public Health and Social Development Sectorial Bargaining Council (PHSDSBC). This attempt was yielding positive results. Ms N Tolashe (ANC) started by praising the presenter whom she said knew her field. She asked what the relationship was between the Essential Services Committee and the Department of Public Service? She also asked how the Essential Services Committee determined the performance figures or what informed the Essential Services Committee in terms of performance to come up with those numbers. She said that there was little information on education and on why the whole of teachers went on strikes sometimes. She also referred to nasty strikes at Parliament and asked why it was still happening and why the Department of Labour was not intervening. She also referred to a huge gap in communication taking into consideration some people closing businesses because of strikes. Mr Bagraim congratulated the marriage of Essential Services Committee (ESC) with CCMA. He however sought clarification on the dividing line between the right to strike and the right to safety and health. Ms S Van Schalkwyk (ANC), in concurrence with Ms Tolashe, also referred to several labour unrests in Parliament. She cited the last Cosatu strike in Cape Town as exemplification and asked what the role was of the Essential Services Committee in terms of ensuring that parties complied. She asked if they complied with the minimum labour essentials. She also asked why only Eastern Cape complied and Western Cape and KwaZulu Natal did not. She asked the challenges leading to the noncompliance of these two provinces. Mr D America (DA) asked why there were violent and protracted strikes. He said the strikes were coupled with intimidation which in turn endangered the lives of South Africans. Mr W Madisha (COPE) said that not all labour areas were covered. He asked about unprotected areas citing ill-treatment and unfair dismissal of workers, for instance, domestic workers and those on contracts like those working in the restaurants in Parliament and beyond. He asked what the Essential Services Committee was doing in light of that as well as the unemployment rate which he pegged beyond 40%. He asked the Essential Services Committee to say something about the ever increasing and escalating unemployment rate. He also requested an explanation on those workers from outside South Africa who were not allowed to join unions and who were being kicked out at any time. He said the report did not go into the nitty-gritties on how the Essential Services Committee would improve the workers’ rights. He also asked what the Essential Services Committee was proposing in light of that. Ms Theko asked how the Essential Services Committee could intervene on unions which used balloting and those who did not use balloting. He asked if South Africa was degenerating into chaos likening the strikes to Italy where it was allegedly that people striked for everything. The Chairperson asked if there was any existing Minimum Service Agreement (MSA) in the policy with regard to jobs and payments. Ms Bronkhorst said that with regard to the relationship between Public Service Administration and the Essential Services Committee, she said not all the services in the public service were essential therefore there was a need to engage the Essential Services Committee. For instance, in the Department of Health, it was not the Department that was essential but certain services in the Department of Health. She also said that there were external factors beyond the Essential Services Committee’s control thus explaining some of the reasons why some targets were unachievable. She said education, even at ILO, was not an essential service. Even if it was compromised, it could not endanger the lives of the population. In response to strike by teachers, she said that teaching was difficult to designate. In response to the Parliament strike, she said that Parliament as a service designated was an essential service in the Labour Act and the Essential Services Committee intervened. In terms of communication, she admitted that the Essential Services Committee did not do what was supposed to be done. In line with those workers for outside South Africa who were being affected in the unfair dismissals and ill-treatment, she said all workers were important but said domestic workers fell outside the scope of the Essential Services Committee. She said that the CCMA dealt with all disputes and the Essential Services Committee (ESC) had limited powers. Disputes went to the CCMA for purposes of conciliation. If not resolved, it went to the Essential Services Committee to consider the minimum service agreements. In terms of SAPS and Parliament, the Essential Services Committee did not have Minimum Services Agreements. It was also clarified that Members had to take note of the Essential Services Committee as a part time committee. She requested the Portfolio Committee on Labour to allow the Essential Services Committee to submit the list of essential services to the secretariat by Friday (10 November 2017). It was further emphasized that foreign workers were vulnerable, and they fell under all workers no matter where they came from. The Essential Services Committee sought to protect all workers. The Chairperson concurred that the Essential Services Committee was part-time therefore the Committee had to understand some of the shortfalls in the responses. The Chairperson said that this entailed focusing on the use of consultancy, as well as on the issue of labour broking as advised by the Deputy Speaker. She was absolutely clear to Members that they were not supposed to go to the issue of state capture which she said was not the mandate of the Portfolio Committee on Labour. Whilst the Cosatu Memorandum raised a number of issues, this Memorandum would only deal with those issues that fell within the remit of the Department of Labour. State Capture did not fall within the remit of the Department of Labour, therefore Members could not comment. In terms of deliberations, the Chairperson proposed that each party position be represented by one member from the three political parties present, that was, ANC, DA and COPE. Ms Bronkhorst shared her view of Cosatu’s position of totally banning labour broking. She said that the labour dispensation regulated quite strict labour broking and workers had to be made permanent. The Government could not dictate to companies on how they should structure their operations. She attributed the 2015 amendments to the impact of outsourcing. She said that as government, they could not dictate to companies or ascertain on their operational matters. On retrenchments, the CCMA monitored retrenchments very carefully. In line with total banning of broking, NEDLAC social partners including Cosatu negotiated the amendments to the Labour Relations Act with the intention to address the challenges posed by labour broking and its exploitations. The amendments went further to regulate genuine temporary employment by reducing it to three months. Anything beyond that would result in the deeming provisions for permanent employment to kick in, unless there were justifiable reasons for temporary employment to go beyond three months. The Employment Equity Act was also amended to ensure that equal pay for work of equal value applied to all workers. Organized labour was part of the NEDLAC consensus on these amendments. The laws also provided for recourse for employees who were exploited or abused by labour broking, including on matters of equal pay for work of equal value. On the total banning of outsourcing, it was not the role of the government to decide or dictate for entities on how they should structure their operations or services. Its role was that when entities decided to outsource or structure their operations or services, workers should be protected against any unfair labour practice or abuse and this was done by inserting into law section 197 of the Labour Relations Act which came into effect when outsourcing occurred. On the ANC’s position regarding the findings contained in the report by Cosatu, Ms Tolashe said CCMA had to come out and give information to the public that they oversaw the situation. On the COPE stance, Mr Madisha agreed with the ANC position. He further noted that the problem under review permeated the country for a very long time and affected the working class for many years. He recommended the need to go back and ensure that NEDLAC dealt with the matter with urgency. He noted that people were suffering, and this had to come to an end and he proposed a deadline in the next coming three months. Mr Bagraim agreed with other party positions and parliamentary terms and said that over 50% of people were unemployed. He was also in slight agreement to what was said by Mr Madisha earlier that unemployment went beyond 40%. He dubbed the scenario in South Africa as jobless growth. The Chairperson, in summary, said the matter had to be formally referred to NEDLAC through the Department of Labour. The Department had to come back in a month to discuss the matter. She recommended that the matter be taken back to where it started; that was NEDLAC. She said that NEDLAC had to deal with that and inform the Committee accordingly. Ms Tolashe agreed with the summary. Mr America said that 9.4 million people out there who did not have work could be affected by the report going back to NEDLAC. What had to be done was an agreement to the report and send it to the Deputy Speaker, rather than it going for further investigations by NEDLAC and the Department of Labour. Mr Bagraim shared the same view with Mr America. Mr Madisha said that he agreed with the Chairperson stating that NEDLAC did not do well. To some extent, he also recommended to embrace what Cosatu was saying. He said that within a month, let NEDLAC consider the matter, treat it with the urgency that it deserved and revert to the committee. Mr L Khorai (ANC) agreed with the summary. The Chairperson proposed to give the matter a month for NEDLAC to conclude and said that they could not give the Department of Labour to reflect on it now. Mr America noted that for record purposes, the DA did not agree that the matter should go back to NEDLAC. He rather said that the DA was the minority in the Committee and was therefore forced to agree. The Chairperson said that the Committee could not go to the Deputy Speaker with two decisions. Thus, as the Committee, it had one decision on the majority view. Ms Tolashe, in reference to the DA MPs who were mumbling in background, warned that they must not try to politic without a reason. She said that she thought all parties were sailing on the same bought and in agreement or on the same page. She tried to convince all Members to stick to the summary and stop or detach from grandstanding. Mr Bagraim, on behalf of the DA, said they wanted it to be categorically put clear and on record that the DA did not agree stating that the answer from the Department was clear and concise. He clearly stated that as the DA, they did not agree with going back to NEDLAC. The Chairperson said that it would be captured in the minutes that during the flow of the meeting, the DA did not agree and requested to move to the next item. The Chairperson sought consensus to adopt the minutes. After Mr Bagraim seconded Mr Khorai, minutes of the 1 November 2017 session were adopted without amendments. Before closing the session, the Chairperson said the National Minimum Wage was finalised, but the Committee could not start the ball-rolling since it did not receive the letter from the Office of the Speaker.